Kaja Wachowska is a general manager of the Hilton Garden Inn Krakow Airport Hotel since march 2018. She has been involved in the hotel industry for ten years. She started in 2008 as a sales coordinator at Novotel Kraków Centrum hotel, where in the following years she worked as a corporate sales manager. In Euro-Hotele she was responsible for the sales results of two hotels - Dou¬bleTree by Hilton Krakow and Hampton by Hilton Krakow. In June 2016, she started working at the Hilton Garden Inn Kraków Airport in Balice. Heading the sales and marketing department, she was responsible for the implementation of sales plans and building the image of the hotel. Kaja Wachowska is a graduate of Public Administration at the Uni¬versity of Wrocław, she also completed postgraduate studies in co¬operation with the Orbis Hotel Group “Top Talent Hotel Management Program” and “EMEA Focus Service GM & Sales Leader Program” implemented by the Hilton chain. Björn Radde is an expert in the hotel industry when it comes to digital. 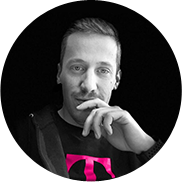 Before Björn joined T-Systems he was Director Digital Experience at Sabre Hospitality, and Vice President of Digital Marketing at Trust International. Previously, Björn was Director Digital Marketing & E-Commerce at Okanda, an internet startup in the meet¬ings business, and Head of E-Commerce at the Steigenberger Hotel Group. In 2017 he published his book on Digital Guest Experience. I am working in hospitality industry for 7 years now, as Head of IT infrastructure last 4 years. I am specialized in server and network infrastructure.From 2016 I am Project Manager of WiFi project that was started by Valamar Riviera together with out partners Croatian Telecom (HT) and Combis. This project is considered largest WiFi project int the region. Anton Petric joined Deutsche Telekom in 2017 from Cis¬co Systems. 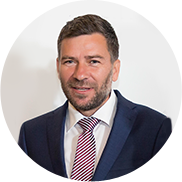 In his current role in DT he is responsible for achieving growth in the B2B area of enterprise and infrastructure services. In his previous position in Cisco he held several managerial positions over a period of 11 years. In the past two years, Anton was leading Cisco cloud operations in 29 countries. 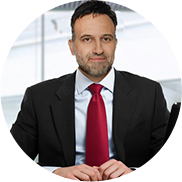 From 2012 to 2015, he was responsible for regional business development in 12 countries of southeast Europe. Before this, he served as General Manager for Cisco in Slovenia for six years, where he contributed to positioning the company as a strategic partner for all top service providers in the country. Multi-regional IT security project manager across more than 20 countries in Europe and US. Coordinator of international G2M activities, groupwide IT security programs. Business developer, strategist, product management black belt, go2market ninja. Summary of presentation: In my presentation I will cover the topics like: what are the key technology trends that have a crucial impact on the hotel industry, how the innovation is changing, what is the role of startups & innovators in the companies. 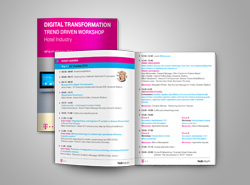 I will also present Deutsche Telekom’s innovative capabilities and I’ll talk about the leaders role in the digital transformation of businesses. Summary of presentation: Cloud, IoT and other technologies are changing the guest experience during a hotel stay. Björn Radde will provide a closer look on current and future digital guest experience tools. Summary of presentation: The main object of the project was to shift into a new management model and maximize the value of Mitsis Hotels information through data digitization, in accordance with the func¬tional particularities of the project, ensuring the integrity of the information that the solution manages, as well as capturing the existing knowledge in order to achieve the timelessness in the use and the management of that information. Summary of presentation: I will present the CARO’s Hotel strategy for innovation and digitalization. How it is possible to mix different smart building technologies (KNX, MODBUS, DALI and open source hardware) in order to increase the operational efficiency, energy efficiency and guest comfort. We will also discuss some advance features for energy and comfort profiling. Hotel leaders discuss the current challenges they face: from implementing new tech¬nologies to the communication with their customers. Why is Cyber Security important to you? Why are Hotel IT Systems an attractive target for the bad guys and how can you protect yourself against them? Best practices regarding the solution implemented at CARO HOTEL. 5 innovators: SuitPad, Apaleo, UpsellGuru, Bead, and Fornove will present their innovative solutions which will help the hotels to improve guests experience, optimize hotel's operations and maximise hotel's revenue & profit. SuitePad helps hotels to communicate digitally by replacing their paper-based information with digital guest engagement tools. They provide ways to interact with guests and help hotels to reconnect with them in a digital world. Apaleo set out to build a new, cloud-based property management system (PMS) with an API-first approach. It allows hoteliers to seamlessly connect to any software through that they could want, need, or build, all in a matter of minutes. UpsellGuru is an online bidding system enabling hotel guests to upgrade their rooms and book additional services prior to their arrivals. BEAD sensors analyze human behaviors and occupancy changes inside the building. Next, with the use of BEAD software, occupancy cycles, movements, and density change information can be collected. This information, in turn, helps you to develop marketing strategies, optimize operations and increase energy efficiency without breaching user comfort. Fornova’s patented technology helps hoteliers maximise revenue and profit by continuously optimising their distribution mix across ALL channels – to sell every room through the best channel, every time. Founded in 2010, Fornova has grown to over 130 employees with offices in London, New York, Israel and Amsterdam, providing market-leading distribution solutions for more than 13,000 hotels globally. Smart Experts is providing custom BMS solution for hospitality industry with a special attention to: operational efficiency, CAPEX shrinkage using open source hardware (Arduino based), customer satisfaction through usability & comfort, OPEX reduction and operational integration between technical systems (KNX, MODBUS, DALI, BACNET and other vendor specific protocols). Also, we provide proprietary algorithms for automatic occupancy detection and used unsold rooms.